Home > pelletizing technology > The Ring Die Service Life: How Long Does It Last And How To Prolong It? 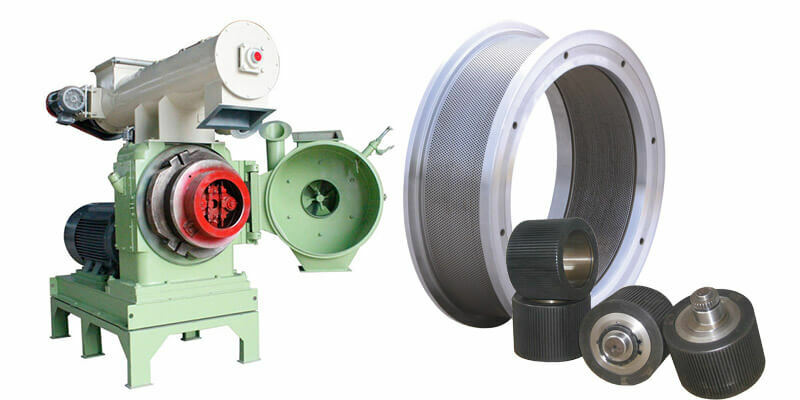 In a typical wood pellet plant or feed pellet plant, one or more ring die pellet mills are always seen. Unlike the flat die pellet mill, a ring die pellet mill is specially designed for large-scale pellet production. Every piece of equipment has its own service life. The ring die pellet mill is not exceptional. 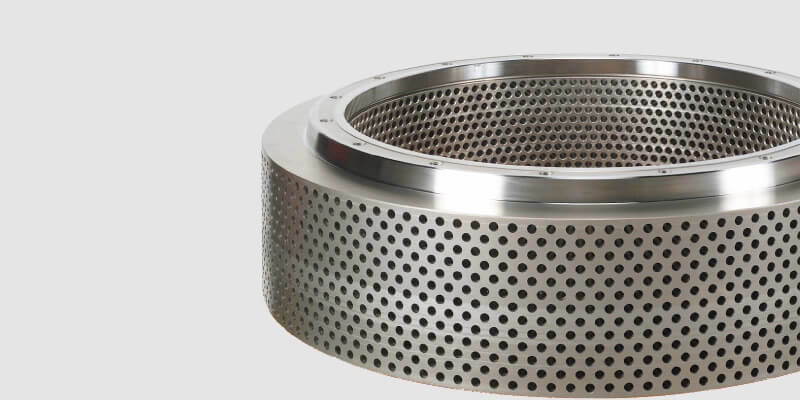 If you look into a ring die pellet mill, there is a silver shining metal ring with numerous deep holes drilling through the surface, arranging in a logistic way, this is the ring die. The heart of a pellet mill. How long does a ring die last? The fact is that the pellet mill quality can be various on the market, and so is the ring die quality. In addition, the ring die service life is influenced hugely by the different types of material the pellet mill is pressing. Generally, pellet mill that makes hardwood pellets has its ring die last shorter than the pellet mill that makes straw pellets. Because, in its nature, the ring die is a wearing part, harder material causes stronger abrasion, hands down. The service life of a ring die is measured not by the actual working hours but by the amount of material that the pellet mill can process. On average, the normal quality ring die can last for dealing with 3,000 tons of material. The better quality ring die may last for dealing with more than 5,000 tons of material, even 7,000 tons. How to prolong the service life of ring die? In addition to the quality itself, the ring die service life may be longer or shorter deciding by several factors, such as the material, the operation behavior, the maintenance habit, etc. After the pellet mill stops working for every shift, get rid of the material that remains in the holes. Otherwise, the residual material is becoming harder while the remaining heat is transferred to the material. It results in ring die crack at the worst situation. For ring die that is not using, keep it away from web environment to avoid corrosion. For feeding material that needs resizing, resize them in a stable, uniform size. This helps to prevent the material from causing internal damage. Some special process technology may increase the output but decrease the ring die duration. Extra maintenance shall be done if this is your case. The gap between the roller and the ring die largely impact the pellet mill efficiency as well as the equipment service lifetime. Keep the gap between 0.1mm and 0.3 mm. While this is a rule of thumb, you still need to keep an eye on it in your actual production. If necessary, install a magnetic device so that the metal particles can be sorted out before the material entering into the pressing area.